Today is the day! Stephanie's shop, Bee Tree Studios, opens up over at Scrappy Bee. Click here to check out all the wonderful products Stephanie has ready to go for you. 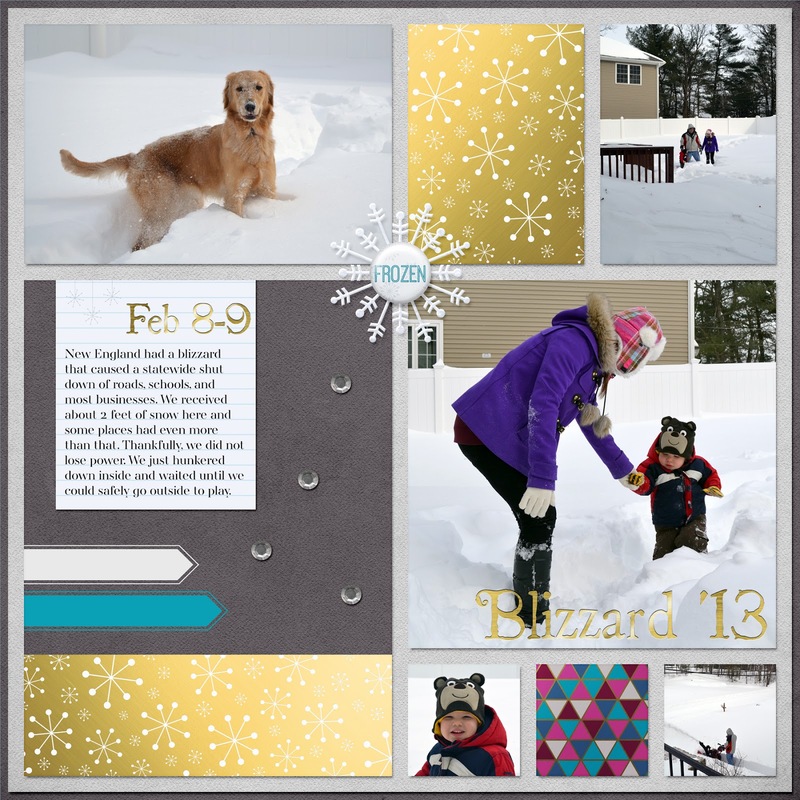 This page was created using items from Bee Tree Studios' Freeze kit, which is actually the first in a series of monthly Disney-inspired digital kits. You can read more about the new Magical Memories Club on Stephanie's blog, and see other great releases that arrived in her store today. I adore Stephanie's designs, so please head on over to her new shop (everything is 50% off through May 4!) and show her a little love. Happy Thursday everyone! Happy May!